NC Shelter Rescue, Inc: Is your County Animal Shelter killing animals before the 72 hr hold time? Is your County Animal Shelter killing animals before the 72 hr hold time? (a) The Animal Control Officer shall canvass the county to determine if there are any animals not wearing the required rabies vaccination tag. If an animal required to wear a tag is found not wearing one, the Animal Control Officer shall check to see if the owner's identification can be found on the animal. If the animal is wearing an owner identification tag with information enabling the owner of the animal to be contacted, or if the Animal Control Officer otherwise knows who the owner is, the Animal Control Officer shall notify the owner in writing to have the animal vaccinated against rabies and to produce the required rabies vaccination certificate to the Animal Control Officer within three days of the notification. If the animal is not wearing an owner identification tag and the Animal Control Officer does not otherwise know who the owner is, the Animal Control Officer may impound the animal. The duration of the impoundment of these animals shall be established by the county board of commissioners, but the duration shall not be less than 72 hours. During the impoundment period, the Animal Control Officer shall make a reasonable effort to locate the owner of the animal. If the Animal Control Officer has access at no cost or at a reasonable cost to a microchip scanning device, the Animal Control Officer may scan the animal and utilize any information that may be available through a microchip to locate the owner of the animal, if possible. If the animal is not reclaimed by its owner during the impoundment period, the animal shall be disposed of in one of the following manners: returned to the owner; adopted as a pet by a new owner; sold to institutions within this State registered by the United States Department of Agriculture pursuant to the Federal Animal Welfare Act, as amended; or put to death by a procedure approved by rules adopted by the Department of Agriculture and Consumer Services or, in the absence of such rules, by a procedure approved by the American Veterinary Medical Association, the Humane Society of the United States or of the American Humane Association. (a2) (See note) Except as otherwise provided in this subsection, a person who comes to an animal shelter attempting to locate a lost pet is entitled to view every animal held at the shelter, subject to rules providing for such viewing during at least four hours a day, three days a week. If the shelter is housing animals that must be kept apart from the general public for health reasons, public safety concerns, or in order to preserve evidence for criminal proceedings, the shelter shall make reasonable arrangements that allow pet owners to determine whether their lost pets are among those animals. (a3) The Animal Control Officer shall maintain a record of all animals impounded under this section which shall include the date of impoundment, the length of impoundment, the method of disposal of the animal and the name of the person or institution to whom any animal has been released. (1) Dogs and cats that are wearing rabies tags but are taken into custody for violation of statutes or ordinances not related to rabies control, such as ordinances requiring the leashing or restraining of dogs and cats. b. A signed written consent to the disposition of the animal, in a manner authorized by this section, before the expiration of the 72‑hour holding period or of a longer period established by ordinance or local rule to which the shelter is subject. 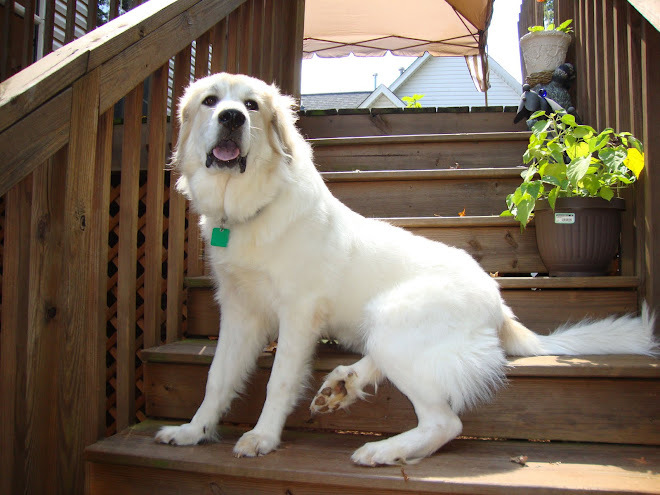 (c) If an animal is not wearing tags, or other mode of identification indicating its owner, and is delivered to an animal shelter by (i) a person who has found and captured the animal, or (ii) by an approved rescue organization that received the animal from a person who found and captured the animal, then the shelter may, in writing, appoint the finder or approved rescue organization to be the agent of the shelter. For purposes of this subsection, the term "approved rescue organization" means a nonprofit corporation or association that cares for stray animals that has been favorably assessed by the operator of the animal shelter through the application of written standards. (1) If the animal is a dog or cat, the finder or approved rescue organization shall hold the animal for the 72‑hour holding period provided for in subsection (a) of this section or such longer holding period that may be applicable to the shelter by ordinance or local rule. If the animal is not a dog or cat, then the holding period shall be by agreement between the animal shelter and the person or organization receiving the animal. b. Extend the period of time the finder or rescue organization holds the animal as agent of the shelter. (3) A shelter may terminate an agency created under this subsection at any time by directing the finder or rescue organization to deliver the animal to the shelter. (4) The city, county, or organization operating the animal shelter, as principal in the agency relationship, shall not be liable to reimburse the agent for the costs of care of the animal and shall not be liable to the owner of the animal for harm to the animal caused by the agent, absent a written contract providing otherwise. (d) During the 72‑hour or longer holding period established under subsection (a) of this section, an animal shelter may place an animal it is holding in foster care. Who do I contact if a NC Animal Shelter is euthanizing animals before the 72 hr State hold or you have other potential issues? North Carolina Department of Agriculture ( Contact is Dr. Lee Hunter) and the NC Department of Health and Human Service ( Contact is Dr. Carl Williams). 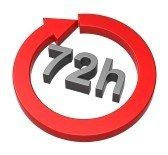 The 72 hr hold is NC DHHS. Peanut Butter and Pumpkin Dog Treats, Yummy !